Helsinki & Paris, April 15, 2015 – Nokia and Alcatel-Lucent announce today their intention to combine to create an innovation leader in next generation technology and services for an IP connected world. 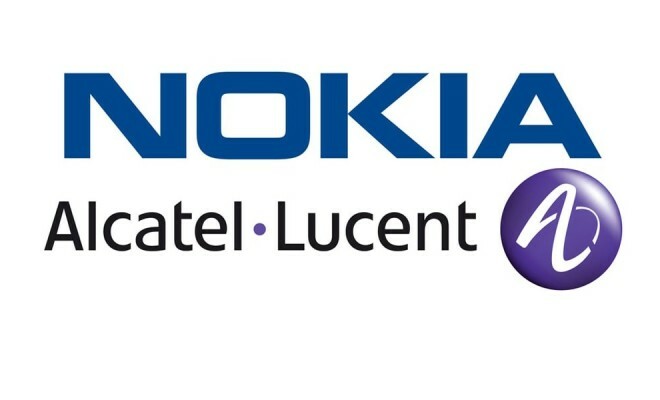 The two companies have entered into a memorandum of understanding under which Nokia will make an offer for all of the equity securities issued by Alcatel-Lucent, through a public exchange offer in France and in the United States, on the basis of 0.55 of a new Nokia share for every Alcatel-Lucent share. The all-share transaction values Alcatel-Lucent at EUR 15.6 billion on a fully diluted basis, corresponding to a fully diluted premium of 34% (equivalent to EUR 4.48 per share), and a premium to shareholders of 28% (equivalent to EUR 4.27 per share) (see Appendix 1), on the unaffected weighted average share price of Alcatel-Lucent for the previous three months. This is based on Nokia’s unaffected closing share price of EUR 7.77 on April 13, 2015. The combined company will be uniquely positioned to create the foundation of seamless connectivity for people and things wherever they are. This foundation is essential for enabling the next wave of technological change, including the Internet of Things and transition to the cloud. The combined company will have unparalleled innovation capabilities, with Alcatel-Lucent’s Bell Labs and Nokia’s FutureWorks, as well as Nokia Technologies, which will stay as a separate entity with a clear focus on licensing and the incubation of new technologies. With more than 40 000 R&D employees and spend of EUR 4.7 billion in R&D in 2014, the combined company will be in a position to accelerate development of future technologies including 5G, IP and software-defined networking, cloud, analytics as well as sensors and imaging. Consumers are looking to access data, voice and video across networks of all kinds. In this environment technology that used to operate independently now needs to work well together. That is not always the case today, but together Nokia and Alcatel-Lucent are uniquely suited to helping telecom operators, internet players and large enterprises address this challenge. “Together, Alcatel-Lucent and Nokia intend to lead in next-generation network technology and services, with the scope to create seamless connectivity for people and things wherever they are. Our innovation capability will be extraordinary, bringing together the R&D engine of Nokia with that of Alcatel-Lucent and its iconic Bell Labs. We will continue to combine this strength with the highly efficient, lean operations needed to compete on a global scale. We have hugely complementary technologies and the comprehensive portfolio necessary to enable the internet of things and transition to the cloud. We will have a strong presence in every part of the world, including leading positions in the United States and China. Together, we expect to have the scale to lead in every area in which we choose to compete, drive profitable growth, meet the needs of global customers, develop new technologies, build on our successful intellectual property licensing, and create value for our shareholders. 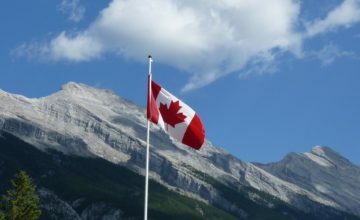 “A combination of Nokia and Alcatel-Lucent will offer a unique opportunity to create a European champion and global leader in ultra-broadband, IP networking and cloud applications. I am proud that the joined forces of Nokia and Alcatel-Lucent are ready to accelerate our strategic vision, giving us the financial strength and critical scale needed to achieve our transformation and invest in and develop the next generation of network technology. This transaction comes at the right time to strengthen the European technology industry. We believe our customers will benefit from our improved innovation capability and incomparable R&D engine under the Bell Labs brand. The global scale and footprint of the new company will reinforce its presence in the United States and China. The proposed transaction is expected to offer financial benefits to both Nokia and Alcatel-Lucent shareholders. The combined company will be positioned to target a larger addressable market with an improved growth profile. Based on Nokia estimates, the addressable market of the combined company in 2014 was approximately 50% larger than the current addressable networks market for Nokia alone, increasing from approximately EUR 84 billion to approximately EUR 130 billion. The combined company is expected to have a stronger growth profile than Nokia’s current addressable market, with an estimated CAGR of approximately 3.5% for 2014-2019. The combined company would also target approximately EUR 200 million of reductions in interest expenses to be achieved on a full year basis in 2017. The transaction is expected to be accretive to Nokia earnings on a non-IFRS basis (excluding restructuring charges and amortization of intangibles) in 2017. These targets both assume closing of the transaction in the first half of 2016. The combined company is expected to have a strong balance sheet, with combined net cash at December 31, 2014 of EUR 7.4 billion, assuming conversion of all Nokia and Alcatel-Lucent convertible bonds. Nokia maintains its long term target to return to an investment grade credit rating and intends to manage the combined capital structure accordingly by retaining significant gross and net cash positions and by proactively reducing indebtedness. This includes Nokia’s intention to exercise an early repayment option for its EUR 750 million convertible bond in the fourth quarter of 2015, which is expected to result in the full conversion of this convertible bond to equity prior to the closing of the transaction, with no expected cash outflow. Nokia will suspend its capital structure optimization program, including suspending the share repurchase program execution, effective immediately until the closing of the transaction. Following the closing of the transaction, Nokia intends to evaluate the resumption of a capital structure optimization program for the combined company. The proposed transaction does not impact Nokia’s ability and intent to continue annual dividend payments. Nokia’s Board of Directors dividend proposal of EUR 0.14 for the year ended December 31, 2014 is maintained. After completion of the public exchange offer, Alcatel-Lucent shareholders would own 33.5% of the fully diluted share capital of the combined entity, and Nokia shareholders would own 66.5%, assuming full acceptance of the offer. The proposed all-share transaction values Alcatel-Lucent at EUR 15.6 billion on a fully diluted basis, corresponding to a fully diluted premium of 34% (equivalent to EUR 4.48 per share), and a premium to the shareholders of 28% (equivalent to EUR 4.27 per share) on the unaffected weighted average share price of Alcatel-Lucent for the previous three months, based on Nokia’s unaffected closing share price of EUR 7.77 on April 13, 2015. The public exchange offer and the proposed combination will be implemented in accordance with the terms and conditions of the binding memorandum of understanding between Nokia and Alcatel-Lucent. In addition to the offer terms, the memorandum of understanding contains representations, warranties and undertakings by Nokia and Alcatel-Lucent typical in similar transactions. The memorandum of understanding may be terminated by Nokia or Alcatel-Lucent under certain circumstances prior to the filing and/or completion of the public exchange offers, including, for example, a material breach by either party of the terms and conditions of the memorandum of understanding prior to the filing of the offers, the occurrence of a material adverse effect in respect of either party prior to the filing of the offers, the Board of Directors of either party not issuing, or amending in an adverse manner its recommendation, non-receipt of regulatory approvals and certain other circumstances. The parties have further agreed on certain termination fees customary in similar European transactions and payable to the other party under certain circumstances, including a change or withdrawal of the recommendation by the Board of Directors of either party, and Nokia’s failure to obtain the necessary shareholder approval or certain antitrust regulatory approvals. Subject to Nokia acquiring at least ninety-five percent of the share capital and voting rights of Alcatel-Lucent, Nokia intends to commence a squeeze-out procedure of the remaining outstanding Alcatel-Lucent shares. The opening of the public exchange offer is subject to, inter alia, completion of relevant works council consultations; receipt of regulatory approvals in the relevant jurisdictions; the absence of any material adverse event occurring with respect to Nokia or Alcatel-Lucent prior to the filing of the offer with the Autorité des Marchés Financiers (AMF), the French securities regulator, and the United States’ Securities and Exchange Commission (SEC); the issuance by Alcatel-Lucent’s board of a formal recommendation (avis motivé) in favour of the public exchange offer; and to other customary conditions. In accordance with the French tender offer rules, following launch of the public exchange offer the completion of the offer will only be subject to the approval by Nokia’s shareholders of the resolutions necessary to implement the combination and the public exchange offer, and to Nokia holding more than 50.00% of the share capital of Alcatel-Lucent on a fully diluted basis upon the closing of the public exchange offer. Alcatel-Lucent will immediately start the information process of its Group works council in order to obtain its opinion on the proposed public exchange offer. It is expected that the remainder of 2015 will constitute a review period consisting of regulatory and merger control review in a number of jurisdictions, AMF review and other transaction approvals and reviews. Nokia plans to convene an Extraordinary General Meeting to pass the resolutions necessary to implement the combination and the public exchange offer after the receipt of relevant regulatory approvals. Nokia’s Board of Directors will, subject to its fiduciary duties, recommend that its shareholders vote in favour of such resolutions. The notice to the meeting will be published and more information on the public exchange offer and its background made available to both Nokia’s and Alcatel-Lucent’s shareholders after said regulatory steps, which is expected to take place in late 2015 or early 2016. The public exchange offer is expected to be launched and completed in the first half of 2016. The planned combined company would be headquartered in Finland, with strategic business locations and major R&D centers in France, and many other countries including Germany, the United States and China. The business is expected to operate under the Nokia brand and intends to retain the Bell Labs brand to host its networks-focused innovation activities. Risto Siilasmaa is planned to serve as Chairman, and Rajeev Suri as Chief Executive Officer. 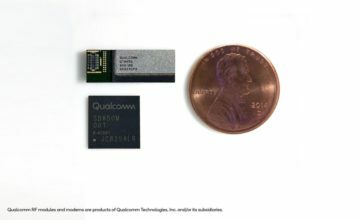 The combined company’s Board of Directors is planned to have nine or ten members, including three members from Alcatel-Lucent, one of whom would serve as Vice Chairman. Nokia also announces today that it has initiated a review of strategic options for its HERE business. That review is ongoing, it may or may not lead to a transaction, and any further announcements about HERE will be made in due course, as appropriate. Nokia Technologies, a source of superb innovation, expertise and intellectual property, is not impacted by today’s announcements and will stay as a separate entity with a clear focus on incubating new technologies and sharing those technologies through an active licensing program. Nokia shares are listed on Nasdaq Helsinki (ticker:NOK1V), and on the New York Stock Exchange in the form of American Depositary Receipts (ticker:NOK). In addition, Nokia will apply for a listing of Nokia’s shares on NYSE Euronext Paris in connection with the public exchange offer. Nokia is a global company, with deep roots and heritage in many parts of the world. When it joins with Alcatel-Lucent, it also expects that France, where Alcatel-Lucent is a fundamental participant in the technology ecosystem, will be a vibrant centre of the combined company. Nokia intends to be an important contributor to the overall development of the broader technology ecosystem and a driver of innovation in France. Consistent with this goal, the combined company expects that after the closing of the transaction it will have a presence in France that spans leading innovation activities including a 5G/Small Cell R&D Centre of Excellence; a Cyber-Security lab similar to its existing facility in Berlin designed to support European collaboration on the topic; and a continued focus on Bell Labs and wireless R&D. Engaging with and supporting projects and academic efforts that enhance the development of future technologies will remain an important priority. Upon closing of the transaction, Nokia also intends to establish a EUR 100 million investment fund to invest in start-ups in France with a focus on the Internet of Things and the Industrial Internet. Nokia intends to maintain employment in France that is consistent with Alcatel-Lucent’s end-2015 Shift Plan commitments, with a particular focus on the key sites of Villarceaux (Essonne) and Lannion (Côtes d’Armor). In addition, the company expects to expand R&D employment with the addition of several hundred new positions targeting recent graduates with skills in future-oriented technologies, including 5G. To ensure ongoing support for customers, activities for support services and pre- and post-sales are expected to continue as well. Similarly Nokia and Alcatel-Lucent have had a defining impact on the United States communications industry. As long-standing technology partners of the US service providers and with a re-energized Bell Labs research and consultancy, the proposed combined company would have technological depth in all strategic domains combined with formidable operational strength. At a time where the industry is re-shaping itself with new architectures, business models and market players, Nokia and Alcatel-Lucent together would bring a compelling force to the fast evolving needs of large enterprises, webscale players, and the public sector, as well as service providers. Nokia and Alcatel-Lucent also have a long and rich history in China. As a result of the transaction Nokia would own Alcatel-Lucent’s 50% plus one share holding in Alcatel-Lucent Shanghai Bell, a company limited by shares supervised by the State-owned Assets Supervision and Administration Commission of China. Both companies support the Chinese Government’s ambitions to encourage a climate for indigenous innovation and technology development through the ‘Internet Plus’ and ‘Made in China 2025’ initiatives. The combined company intends to remain committed to China and plans to continue enabling local innovation with fast, smart, secure and reliable networks built with its Chinese partners. Alcatel-Lucent is the leading IP networking, ultra-broadband access and cloud applications specialist. It believes that networks are the foundation of an ultra-connected world, and that networks need to be built to achieve the potential of every customer with flexibility, speed, and trust. Alcatel-Lucent’s mission is to invent and deliver trusted networks to help its customers unleash their value. The company employs approximately 52 600 employees as of end 2014 including 20 000 R&D employees. Its products and services are distributed all over the world (North America: 44%, Asia Pacific: 20%, Europe: 23%, Rest of World: 13%). Alcatel-Lucent’s shares are traded on Euronext Paris, which represents the principal trading market for its ordinary shares and on the New York Stock Exchange in the form of American Depository Shares. J.P. Morgan served as financial advisor to Nokia and delivered a fairness opinion to the Board of Directors of Nokia in connection with the transaction. Skadden, Arps, Slate, Meagher & Flom LLP and Roschier, Attorneys Ltd served as legal advisors. Zaoui & Co is acting as lead M&A advisor to Alcatel-Lucent and delivered a fairness opinion to the Board of Directors of Alcatel-Lucent in connection with the transaction. Sullivan & Cromwell LLP served as legal advisor. 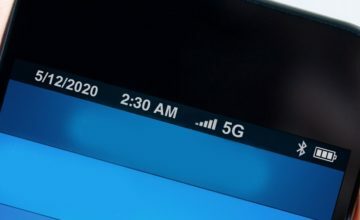 Next Story → 5 years to 5G?